Tanged Stainless Steel combination for higher pressures. 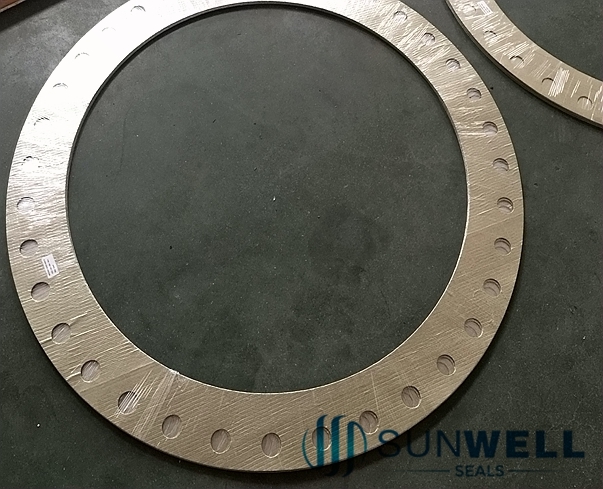 SUNWELL SEALS B501R is a asbestos-free sealing material. The mica is exceptional in it resistance to high heat. At the temperature over 900 F the idea sealing material graphite can not be used. Flexible graphite will coke at those elevated temperature when oxygen is present, where mica gasket material will not (900 ~ 1,850 F). 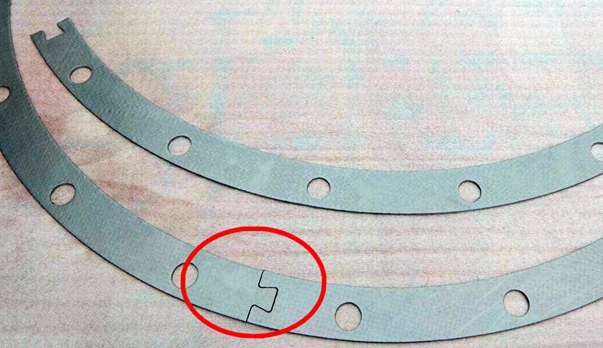 Mica gasket material is en excellent alternative in these high temperature applications. Reinforced with tanged or flat metal sheets for improving the tensile strength and compressibility and recovery. Resists fire without burning, Fire Safe. Insert to most chemical agents, in particular solvents, acids bases and mineral oils. The limited of the mica sheet is 1,000 x 1,200mm.